My colleague Doug’s recent Ingenuity: From Inside Out on the benefits of children learning by taking things apart prompted a recollection from my youth. I was maybe eight-years-old and my closest friend, Mike, and I loved to play in my father’s garage taking things apart. My dad was a great mechanic who also loved to tinker with old radios and other things he would pick up at junk shops, so there were always lots of interesting projects sitting around on shelves or benches. One day Mike and I found an old farm battery – a big one maybe half the size of a modern automotive battery. It was old and had a paper (light cardboard) wrap with the manufacturer’s graphics and a very curious inscription on the top, something like: “Strike here with hammer to energize battery.” I can remember Mike and me speculating on what possible mechanism could be inside that would require one to hit the battery before using it. We decided to find out. We took off the cardboard cover but we saw no mechanism – only black gunk that looked like tar. Now we were really curious, so we peeled off the gunk trying to expose the innards. We finally decided to simply smack it with a hammer and find out what happened. We hooked the posts to a flashlight bulb and I drew the straw for smacking honors. I drew back and hit it a good blow, at which point glass shards flew and clear liquid gushed out and splattered me right in the face. I ran screaming into the house where my mother quickly rinsed me off – my face was a little red but I was none the worse for wear. As my father later explained, I was rather lucky because what I was splattered with was sulphuric acid. It turns out old farm batteries had to have a long shelf life so they put the acid in a sealed glass container that separated it from the anode and cathode, and then coated the whole thing in bitumen to hold the components together and protect the thin glass container. When the farmer was ready to use the battery he would strike the battery on top, breaking the glass and releasing the acid into the cell to start the electrochemical process. What saved me from more serious injury was that the battery was maybe 25 years old and had lost much of its acidity through age and, presumably, reaction with the glass. That near miss slowed us down a little, but we were soon back in the garage taking things apart. We happened upon the site’s feature on how kids learn by taking things apart, and there was instant recognition of what some kids we know have been up to. Also, why TechRepublic’s “teardown” feature is so popular. We seem to have an innate fascination for seeing how things fit together, or go together. “Sidewalk superintendents” at construction projects are another example of this proclivity. Not that we’re suggesting that taking things apart that really shouldn’t be taken apart is a good idea (unless you’re adept at putting them back together), but it can be a source of inspiration. 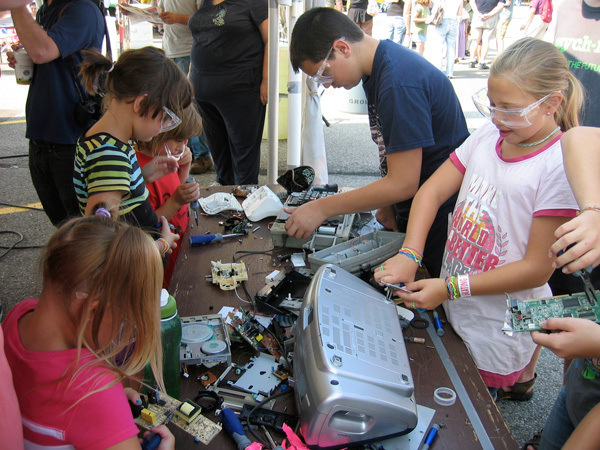 And, if the target object – like those at Make’s Robotics Redefined both at Detroit’s recent Maker Faire is dispensable anyway, you have a way to keep kids occupied for hours, while revving up their ingenuity circuits. There’s been a fair amount of attention lately to America’s innovation standing (is it threatened? ), including in Bloomberg Businessweek. Find enough mechanisms for kids to take apart and recombine into something new, however, and we’re likely to be reassured. She is a monument to technological genius and chutzpah as well. 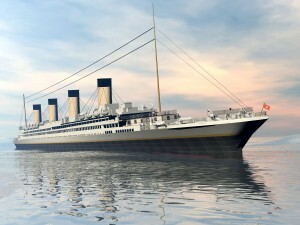 RMS Titanic has been resting, half buried, on the ocean bottom for 98 years now. Scientists are becoming concerned about how much longer she can withstand the corrosive, or naturalizing, forces that are turning her into a mired denizen of the sea. 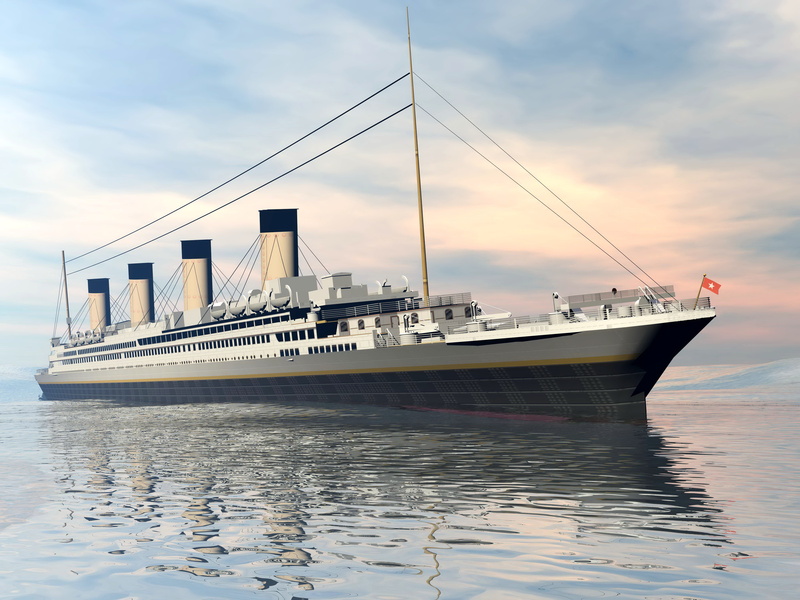 On August 22, RMS Titanic, Inc., Woods Hole Oceanographic Institution and a host of other partners will conduct a new dive to the Titanic, the first in six years, to ascertain further how she has been “aging” on the seabed. This visit will be uniquely available to the public, photographed with the latest in undersea 3DHD and 2D cameras. A 3D rendering of the wreck will be created. We came upon this fabulous mission by stopping at the Creativity-online website. You need to be a paid subscriber to see all that’s available on the Titanic there, but we got some tantalizing glimpses by nosing around before the “paid?” screen took over. Maybe, you, too, will be so fortunate. We can understand why this work needs support; much has been learned to benefit oceanography and nautical history and engineering from past visits to the site 2.5 miles below the Atlantic’s surface. See what you can find here, and join Creativity for more, if it suits your interests. We last wrote about acting decisively either to debunk or apply new technologties, not just announce them and see them seemingly ignored. Now here’s a city that’s acting decisively in, you might expect it, the Silicon Valley. San Jose, CA, in 2007 announced its “Green Vision” – a 15-year plan that includes reducing per capita energy use by half, becoming a zero waste city, recycling and reusing 100 percent of the city’s water, and moving to 100 percent renewable energy. Right on! San Jose’s resolves are especially pertinent because we’ve also been writing about the progress toward launching electric cars. A detriment has been the lack of charging stations along highways and byways. But San Jose is doing someting about that. 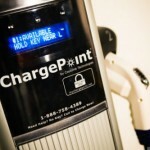 The California city recently installed the first of 1,600 planned charging stations in the Bay Area as part of the ChargePoint America program to encourage the use of electric cars – by those who can currently afford the Chevy Volt, the Nissan Leaf or the Ford Focus EV, anyway. San Jose is aiming to break the chicken-or-egg dilemma over which comes first toward reaching a green future. 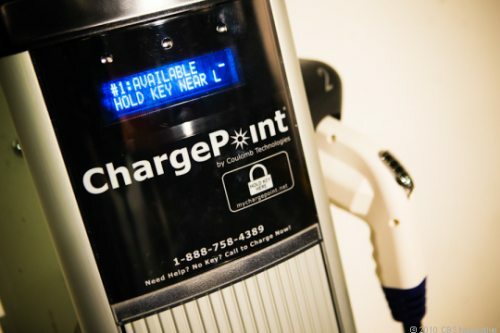 Encouraged by San Jose’s resolve, Couloumb Technologies, the maker of that city’s first charging station, is expecting to have 4,600 of them around the country by October, 2011, in areas including Austin, Detroit, Los Angeles, New York, Washington, D.C. and Orlando. San Jose’s first charging station is inside a parking garage, appropriately enough – except, of course, that you’d first have to pay a parking fee to reach it. But who can quibble over a city as resolutely aiming for a greener future as San Jose appears to be? TechRepublic is the source of the highly informative, amply illustrated web story that’s prompting these acclamations for San Jose and electric car makers. And we ought to give some further credit where credit is due on the road to the future. Couloumb’s $37 million Charge Point America program is funded in part by $15 million from the U.S. Department of Energy under the American Recovery and Reinvestment Act. Could We Breathe As If There Were No Factories? We keep hearing about how various solar power approaches are key to our energy and environmental future, yet none seem to be applied all that decisively. Here’s a newly announced approach that should either be debunked or applied resolutely. 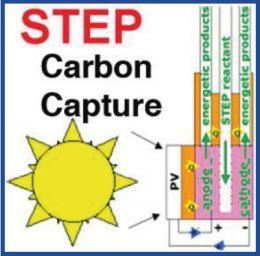 Researchers who have developed the STEP (Solar Thermal Electrochemical Photo) process say it could decrease carbon dioxide in the atmosphere to pre-industrial levels in 10 years. That is, we could have the atmosphere we had before factories, automobiles and trucks started appearing on earth. Why wouldn’t that be considered a goal worthy of priority sponsorship, providing it’s truly feasible? In one continuing STEP activity, we could put the debate over a healthy atmosphere aside; science could triumph. What is it about announcements that seem so promising, and then aren’t heard about again, at least on a scale sufficient to make a real difference?